(XU/AOQ) (Guatemala City) 1977 - 1993. Photos. Framable Color Prints and Posters. Digital Sharp Images. Aviation Gifts. Slide Shows. 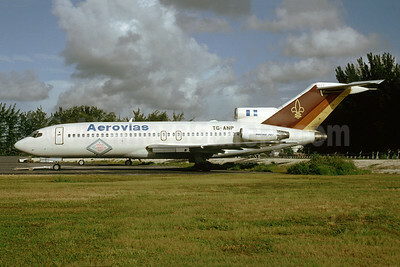 Aerovias (Guatemala) Boeing 727-76 TG-ANP (msn 18742) MIA (Bruce Drum). Image: 103559. 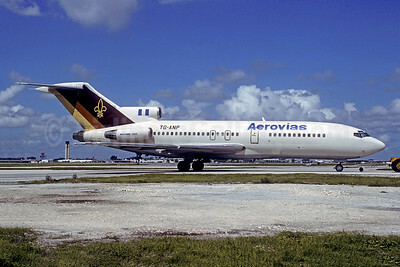 Aerovias (Guatemala) Boeing 727-76 TG-ANP (msn 18742) MIA (Christian Volpati Collection). Image: 945592.